The media survives on sensationalism. No news IS no news!! Yes prices have come down slightly in the local Northern Beaches market but no where near the same extent as is being reported in the news as is happening across the greater Sydney basin. Manly and surrounding areas have been very resilient markets for very many years. Whilst noone has a crystal ball, past experiences would indicate the local area will dip less and recover more quickly than the rest of the Sydney market. There is an old real estate market saying, which goes along the lines of, “when the market falls, money retreats to quality”. People who can take the opportunity to move into areas, previously out of their price. If anything, markets like the one we are experiencing now, become one where many vendors choose not to sell. A relative shortage of house and unit stock quickly becomes the norm; people who have no immediate urgency, choose not to sell. The supply demand balance readjusts itself and prices stabilize. Or so the theory goes. 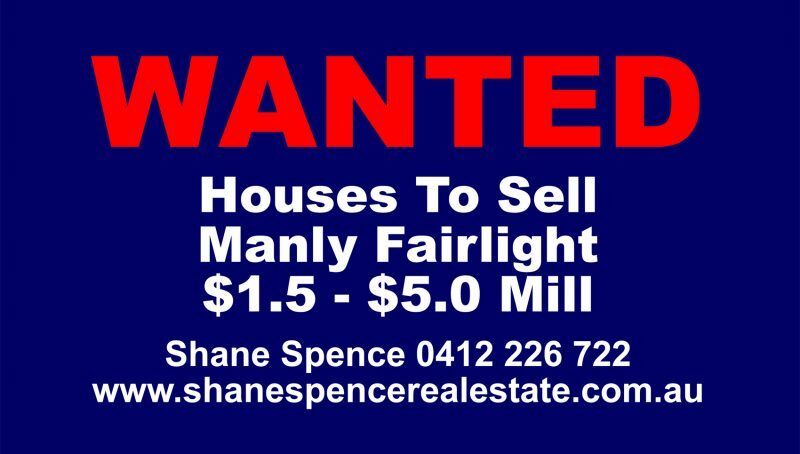 We continue to attract strong enquiry from buyers looking to purchase in the Manly, Fairlight and surrounding areas. In the event you are thinking of selling in 2019, feel welcome to call me.